This article is a follow-up on an article published last Saturday about the Deuterocanonical books and their use in the liturgy.There is no law, either human or divine, which positively requires that all liturgical texts like introits and responsories be taken from the words of Holy Scripture. Therefore, the presence of an occasional liturgical text from a non-canonical or “apocryphal” book really does not say anything about how the book itself was viewed; much less does it indicate that it was held on a par with the canonical books. Moreover, while it is certainly true that the vast majority of Mass propers in the Roman Rite are scriptural, the source texts of the Office have always been far more varied.The Latin-speaking West has essentially three “apocryphal” books, which is to say, books which were often included in manuscripts of the Bible, and in early printed editions, but are not recognized by the Church as canonical. Each of these is also represented in the Roman liturgy, but just barely. There is a fourth such text which is only very rarely included in Latin Bibles, but is well-known to the Greek Church, and also found its way into the Roman Office. 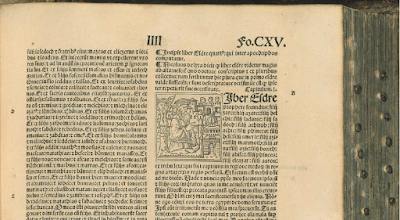 From a Bible printed at Nuremberg, Germany, in 1516, the beginning of the Fourth Book of Esdras in the right column, “which is reckoned among the apocryphal books.”The three are the Third and Fourth Books of Esdras, and the Prayer of Manasseh. (The nomenclature of the books of Ezra, both canonical and non-canonical, is different in every linguistic tradition, and will be explained later; here I use the names found in the Vulgate, and in the liturgical books which cite them. )Third Esdras is a Greek version of the last two chapters of 2 Chronicles, and the entire first book of Ezra, written sometime between 100 BC and 100 AD. (It must be noted that there is a great deal of uncertainty about the origin and date of most apocryphal books.) There is added to it a long interpellation (chapters 3, 1 – 5, 6) which tells how the three bodyguards of King Darius debate as to what thing is the strongest; one of them is Zorobabel, who leads the children of Israel back to the Holy Land from exile.This book is cited once in the Missal, in the Offertory of the votive Mass for the election of a Pope. “Non participentur sancta, donec exsurgat póntifex in ostensiónem et veritátem. – Let them not take part in the holy things, until there arise a priest unto showing and truth.” (3 Esdras 5, 40)Fourth Esdras is an apocalypse of uncertain date, but generally held to be Jewish in origin, comprising several lengthy visions granted to the “Prophet Ezra.” The Latin version has had two other apocalypses added to it, which comprise the first two and last two of its sixteen chapters; these are entirely absent from the versions in other languages such as Syrian and Ethiopic.The Introit of the Requiem Mass, the text of which is repeated in the Gradual and Communion, is cited in the Missal as 4 Esdras 2, 34 ad 35. This citation, however, is very broad; the full text of these verses reads as follows: “Ideoque vobis dico, gentes quae auditis et intellegitis: expectate pastorem vestrum, requiem aeternitatis dabit vobis, quoniam in proximo est ille, qui in finem saeculi adveniet. Parati estote ad praemia regni, quia lux perpetua lucebit vobis per aeternitatem temporis. – And therefore I say to you, ye nations that hear and understand: await your shepherd, he will give you the rest of eternity, for hs is nigh that shall come at the end of the age. Be ye ready unto the reward of the kingdom, for perpetual light shall shine upon you through the eternity of time.”The same chapter of 4 Esdras, verses 36 and 37, is cited in the Introit of Pentecost Tuesday. “Accipite jucunditatem gloriae vestrae, alleluia: gratias agentes Deo, alleluia: qui vos ad caelestia regna vocavit, alleluia, alleluia, alleluia. Ps. 77 Attendite, popule meus, legem meam: inclinate aurem vestram in verba oris mei. Gloria Patri. Accipite. – Receive the delight of your glory, alleluia, giving thanks to God, alleluia, Who hath called ye to the heavenly kingdoms, alleluia, alleluia, alleluia. Psalm Attend, O my people, to my law: incline your ears to the words of my mouth. Glory be. Receive.” (In the video, a version by the Italian composer Giuseppe Tricarico, 1623-97. 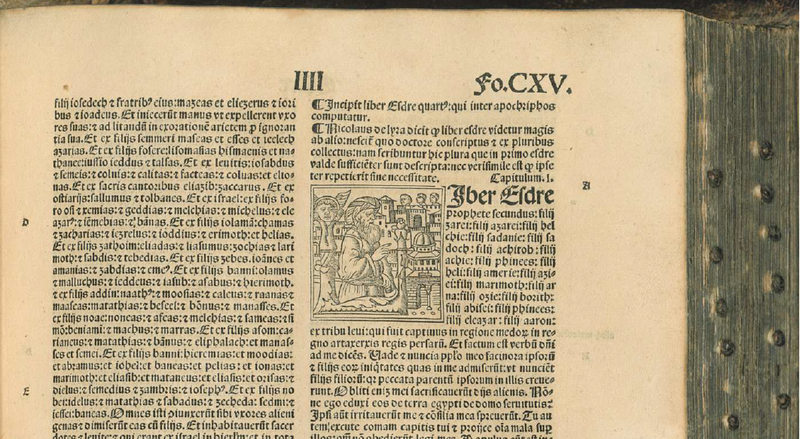 )In this case, the citation is exact, but not the complete text of these verses, which read in full: “Fugite umbram saeculi hujus, accipite jucunditatem gloriae vestrae. Ego testor palam salvatorem meum. Commendatum Domini accipite, et jucundamini, gratias agentes ei qui vos ad caelestia regna vocavit. – Flee ye the shadow of this age, receive the delight of your glory. I bear witness openly to my savior; receive him as one commended to ye by the Lord, and delight, giving thanks to him who has called ye to the heavenly kingdoms.”The Prayer of Manasseh purports to be the prayer of repentance offered by King Manasseh when he was deported to Babylon, as stated in 2 Chronicles, 33, 19: “His prayer also, and his being heard, and all his sins, and contempt, … are written in the words of Hozai.” It is found in most medieval manuscripts and early printed version of the Vulgate immediately after 2 Chronicles, before the canonical book of Ezra. Although there is no Hebrew version of it, the standard criterion among the early Protestants for denoting a book as apocryphal, it was included in several of their early Bibles, including that of Luther himself, and the Geneva Bible, the most widely used English version before the King James.In the corpus of responsories sung with the readings from the books of Kings between Trinity Sunday and August, the seventh cites the Prayer of Manasseh, together with verses of Psalm 50, the penitential Psalm par excellence.R. Peccavi super numerum arenae maris, et multiplicata sunt peccata mea, et non sum dignus videre altitudinem caeli prae multitudine iniquitatis meae: quoniam irritavi iram tuam, * Et malum coram te feci. V. Quoniam iniquitatem meam ego cognosco: et delictum meum contra me est semper, quia tibi soli peccavi. Et malum coram te feci.R. My sins are more in number of the sands of the sea, and my sins are multiplied, and I am not worthy to look up the height of heaven, because of the multitude of my iniquity; for I have provoked thee to anger, * and done evil before Thee. V. For I know my iniquity, and my sin is always before me, for the Thee only have I sinned, and done evil before Thee.The Prayer of Manasseh is also said in its entirety at Great Compline in the Byzantine Rite, a more solemn version of Compline said on weekdays in the major penitential seasons. It is read together with Psalms 50 and 101, which are also among the traditional penitential psalms of the Roman Rite. Psalm 151; folio 418v of the Paris Psalter, a Greek manuscript dated 940-960. (Bibliothèque nationale de France, Département des manuscrits, Grec 139) The rest of the Psalms are written in this manuscript as seen here, filling only a part of the page; they are surrounded by a commentary excerpted from the works of several different Church Fathers, called a Catena, written in a much smaller hand, which can be seen though the page. 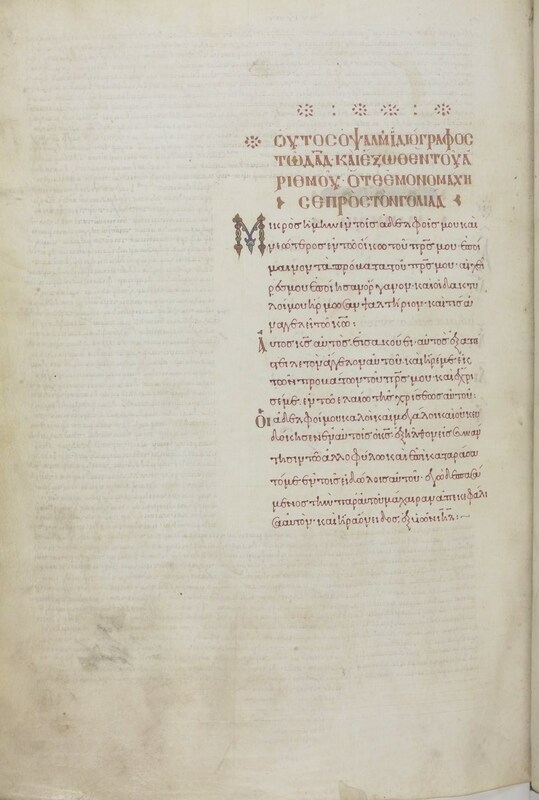 The Catena does not include anything on the apocryphal Psalm, hence the blank space on this page.The final apocryphal text is Psalm 151, which is appended to the Psalter in most of the manuscripts of the Septuagint, with the notation that it is “outside the number.” Although a Latin translation of it was made in antiquity, it is found in fairly few manuscripts, and was therefore not included in early printed Latin Bibles. When Pope Clement VIII had a standard edition of the Vulgate published in 1592, Third and Fourth Esdras and the Prayer of Manasseh were relegated to an appendix, “lest they perish altogether,” but only those three, and not Psalm 151. It is also cited in a responsory of the series from the books of Kings, the second in the Roman Breviary, together with 1 Kings 17, 37 in a slightly different text from the Vulgate.R. Deus omnium exauditor est: ipse misit Angelum suum, et tulit me de ovibus patris mei; * Et unxit me unctione misericordiae suae. V. Dominus, qui eripuit me de ore leonis, et de manu bestiae liberavit me. Et unxit …R. God is the hearer of all; He sent His Angel, and took me from (the keeping of) my father’s sheep, * and anointed me with the oil of His mercy. (Psalm 151 3, 4) V. The Lord, who rescued me from the mouth of the lion, and delivered me from the paw of the bear. R. And anointed me…On the nomenclature of the books of Ezra.The Hebrew name “Ezra” is transcribed as “Esdras” in the Greek versions of the Bible, and it was this latter form which then passed into the Latin versions. 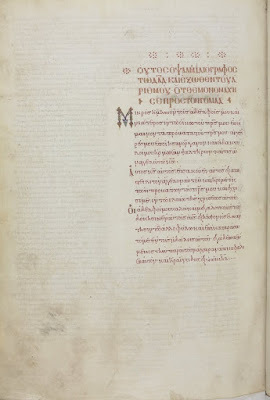 The canonical book of Ezra was designated by St Jerome as “Liber Esdrae,” and that of Nehemiah as “Liber Nehemiah, qui et Esdrae secundus – the book of Nehemiah, which is also called the second of Ezra.” The apocryphal books named above were therefore designated in Latin Bibles as Third and Fourth Esdras, and so they remained until the Reformation.The early Protestant English Bibles changed a great many proper names, including those of some Biblical books, away from the traditional Latin versions found in the Vulgate, which is partly filtered though the Septuagint, to a more direct transcription of the Hebrew. Hence the prophet “Sophonias” became “Zephaniah” and “Nabuchodonosor” became “Nebuchadnezzar”; likewise, “Esdras” was changed to “Ezra.” The book of Nehemiah was no longer designated as “also called Second of Ezra.”The editors of the King James Bible then made the extremely silly and confusing decision to use “Esdras”, the Greek version of “Ezra”, as the name of the two apocryphal books which had hitherto been known as Third and Fourth Esdras, while also renumbering them. Thus, the books known in the Vulgate as First to Fourth Esdras became “Ezra, Nehemiah, First Esdras and Second Esdras.” The matter is rendered more complex still by the fact that the Greek and Old Church Slavonic Bibles each have yet another different system for naming and numbering these books.